Things are pretty much the same as my last report . 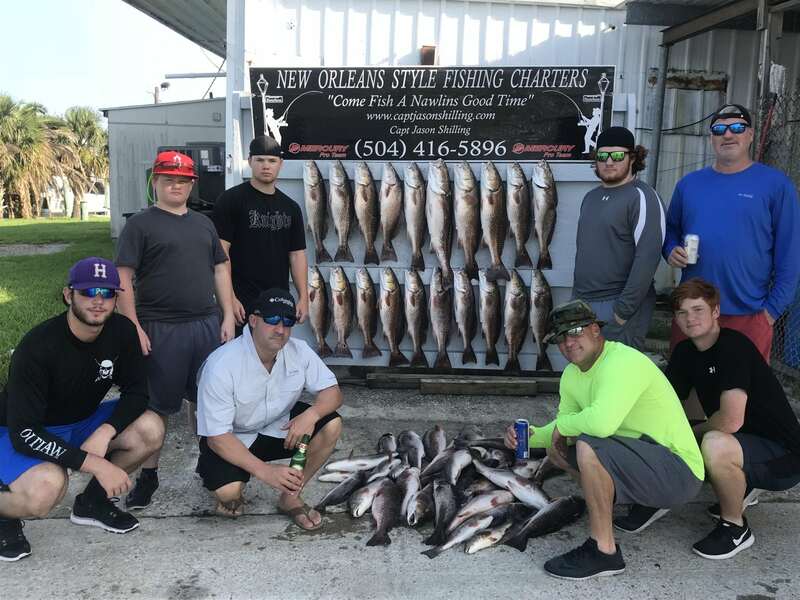 We are fishing for red fish mostly right now in the bays and lakes of the Lafitte area. The red fish have been all sizes but most are in the 20′-26′ range some coming in a lil bigger and some a lil smaller. Today we were forced off the water by thunderstorms that were approaching . Always better to be safe than sorry . I’ll be back on the water tomorrow so there will be more reports and pics coming soon.